Japanese music manufacturers Roland, Yamaha, and Korg have been household names in the synthesizer world since the early ‘70s. Synths like the Roland Juno 106, Korg MS-20, and Yamaha DX7 have been ubiquitous in electronic and pop music for decades. But the big models from the Big Three weren't the only synths coming out of Japan at that time. 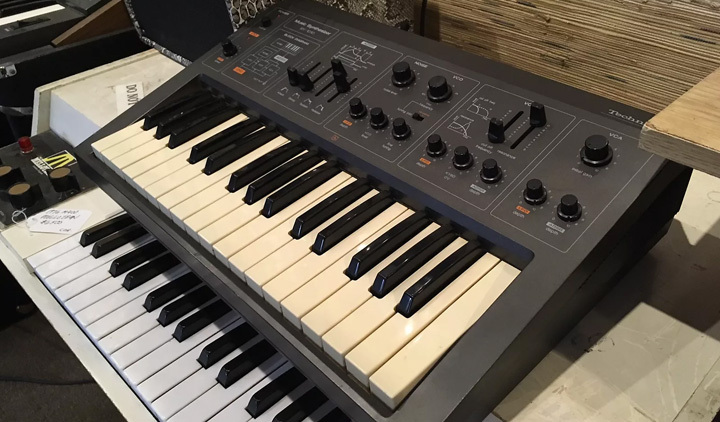 In addition to lesser-known offerings by these firms, synths from more obscure Japanese companies like Kawai and Technics were also hitting the market. As the vintage synth market has heated up over the past decade or so, more and more players are looking at these second-tier models for their slice of vintage analog goodness, always on the prowl for the next overlooked gem. We spent some time combing the pages of Reverb to find some of the most obscure Japanese synths currently for sale on the site. Take a look below at what we found. Eclipsed by its Juno 6/60 and Korg PolySix contemporaries at the time, the rarer Kawai SX-240 is an incredible DCO-based polysynth that can hold its own sonically. With two DCOs and a sub oscillator for each of its eight voices, the SX-240 also has a great-sounding low-pass filter, built around the SSM2044 chip — the same used in the Korg PolySix. Editing is done by selecting a parameter and using a central control to change values, much like the Moog Source or Roland Alpha Juno, and it is a surprisingly quick synth to program. The SX-240 also features decent MIDI implementation for the time, as well as several keyboard modes. Dual mode allows two patches to be played at once and split mode splits the keyboard into two sections, each with a different patch. 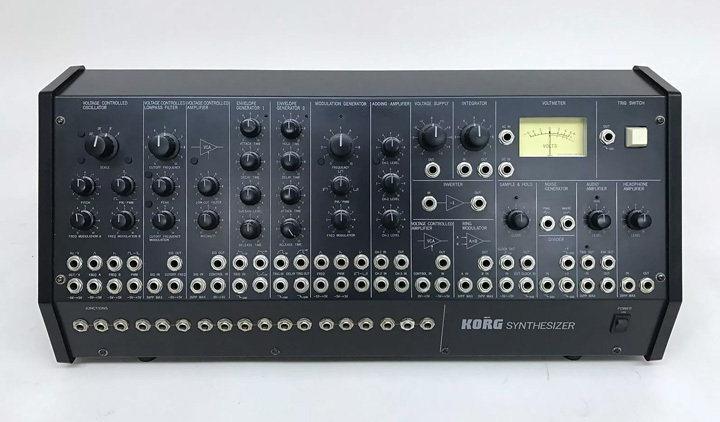 The Korg MS-50 was sold as an expansion part of the MS system, meant to pair with the more common MS10 and MS20 synthesizers. It is a great source for the famous snarling MS series filter and notably thick-sounding VCO and is useful for any modular system. The VCO is controlled by both Korg’s Hz/Volt pitch input (also used by some of the Yamaha CS series) and a Volt/Octave input for more common control by both vintage and modern analog gear. It compliments the MS20 with the addition of useful utility modules, such as an adding amplifier (mixer), two envelope generators, headphone amplifier, sample and hold, inverter, a modulation generator (LFO), two VCAs and a ring modulator. 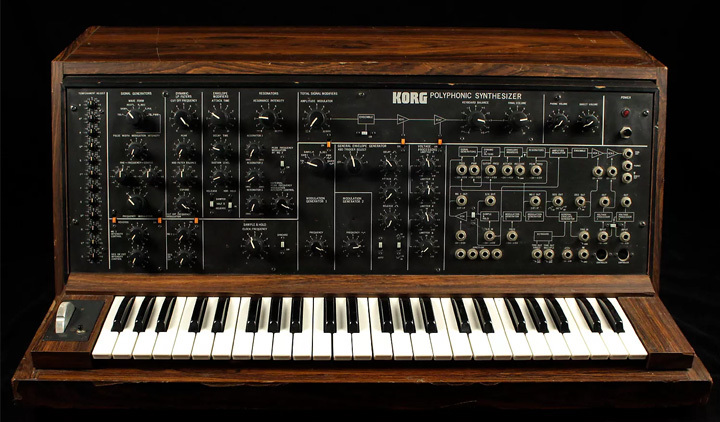 The first of Korg’s early polyphonic analog synthesizers, the PS-3100 (along with its later siblings, the 3200 and 3300) has similar sound characteristics to the popular MS series. It is often said to be fully polyphonic but technically has 12 separate synthesizer circuits — one for each note of the scale — and uses octave dividers to get the different octaves of each note. The 12 oscillators each have individual tuning, uniquely allowing for alternate tunings to be configured. The PS-3100 also has a storied and unique resonator section made up of three bandpass filters that sounds like no other synthesizer. These are seldom seen for sale and even though they only have a single VCO per note, the PS-3100 is capable of extremely warm and deep polyphonic sounds. Roland’s Jupiter 8 and 6 are well-known monster analog polysynths that were used on countless records for decades. 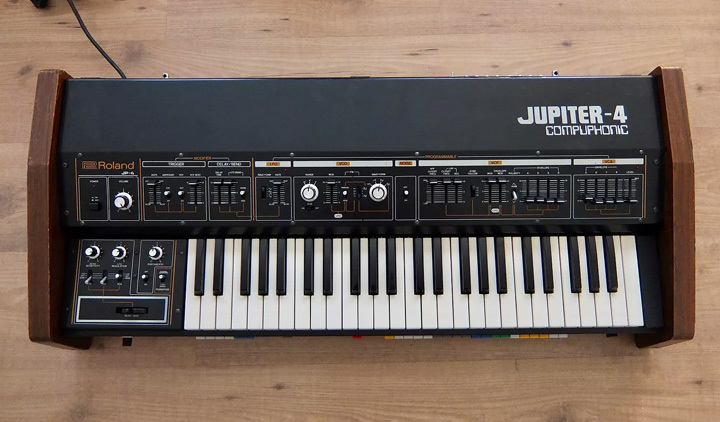 But the Jupiter 4 was the first polysynth in the Jupiter series and was used on hits by bands like Duran Duran and The Human League. The JP4 is distinctly warmer than the Jupiter 6 and achieves its four voice polyphony by using four separate voice cards, each with a discrete oscillator, sub oscillator, low-pass filter, VCA, and ADSR for the filter and VCA. A noise generator is also included. Features that really set the Jupiter 4 apart from other synthesizers include the onboard arpeggiator, lush analog chorus, and patch memory. 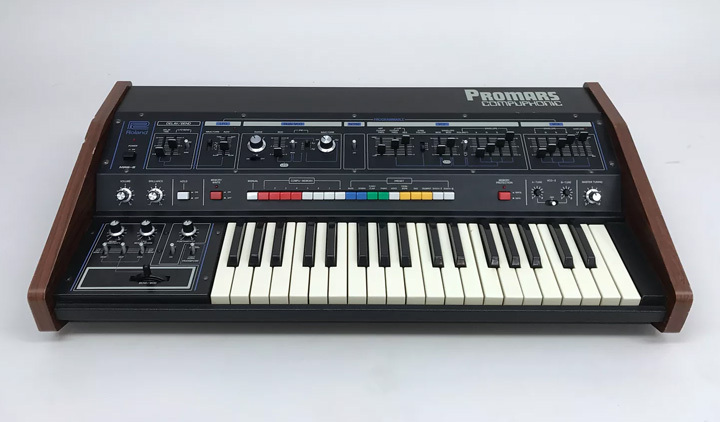 The Roland Promars was released a year after the Jupiter 4 as a somewhat stripped down monosynth version. It lost the arpeggiator and chorus circuit but allowed for a two-oscillator stacked monosynth with the ability to detune the oscillators. The Promars also retained a similar patch memory design to the Jupiter 4, still rare at the time of its release. 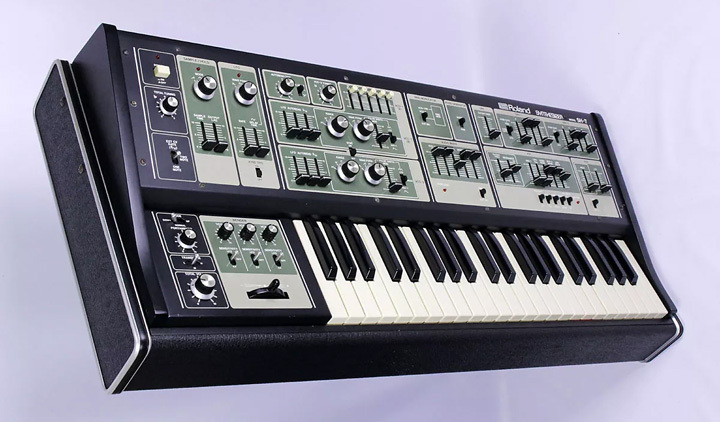 The SH-7 Roland’s most fully featured SH synth of the ‘70s. With two syncable, fat, and discrete VCOs and a warm 24db/octave low-pass filter, the SH-7 expanded on past synths in the series with duophonic control and significant modulation options. An envelope follower is included in the audio input signal path, allowing unique control of filter cutoff with the input. The SH-7 perfectly expands on the well-known thick analog sounds of the other models in the SH series with much greater modulation and control. 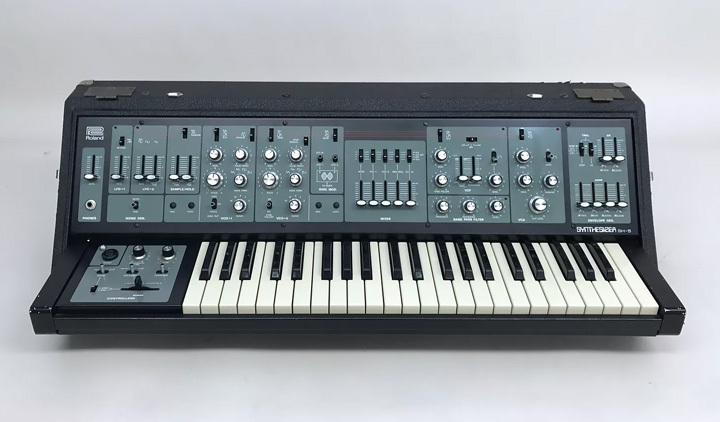 The SH-5 is said to be some the best of the SH series and while it lacks some of the more advanced modulation of its green younger brother the SH-5 does include a resonant band pass filter not seen in any of the other early SH synthesizers. This along with the wonderful thick oscillators the series is known for makes the SH-5 a sought after classic. The modular revival is in full swing today and while some of the most iconic images that come to mind when thinking of vintage modular systems involve giant walls of Moogs or the banana spaghetti of Buchla systems, Roland also had some formidable offerings. 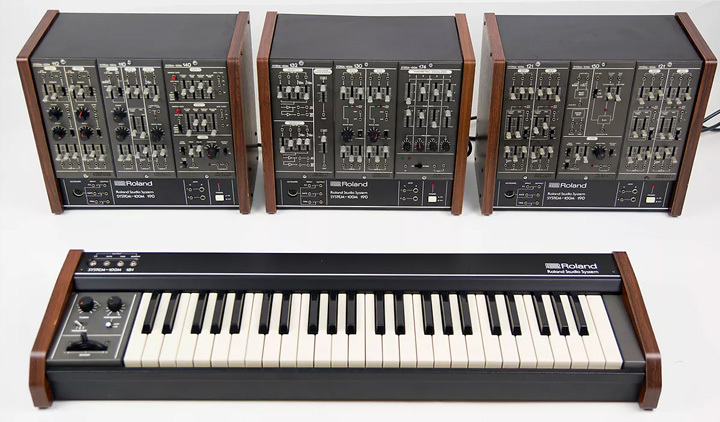 The System 100m was Roland’s most mature modular system (until recent modern products) and was based on the earlier semi-modular System 100. The 100m’s main sonic elements, the VCOs and VCFs, have a sound similar to the SH series, and the modular cabinets provide a generous assortment of multiples and interface jacks. Single modules are difficult to come by, and like any 30+ year old synth, it is even harder to find systems in fully working order. Technics rare SY-1010 is a no frills, compact, single-VCO monosynth that is easy to use and has a great, fully analog-sounding signal path. It is similar in features to the Roland SH-09, with the VCF and VCA sharing a single envelope generator. But it has a wonderful analog tone and can be found for less than similarly featured vintage synths. 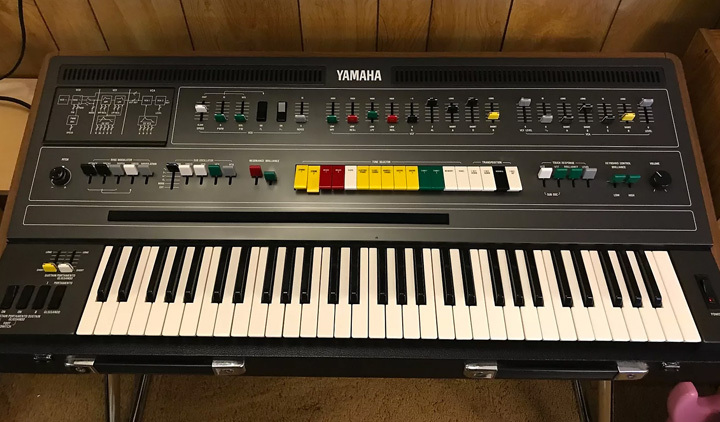 Yamaha’s giant CS-80 polysynth was used famously by Vangelis on the Blade Runner soundtrack and was one of the most expensive and expressive synths ever produced. Its lesser-known cousin, the CS-60, sports the same voice cards as the CS-80 but is configured as a single oscillator per voice and eight-voice polyphony. You still get the tell-tale aftertouch control, unique sounding VCFs, preset storage (only one user preset), and ring modulation. The CS-60 is a great way to the CS-80 sound in a somewhat more portable and less expensive package. Finding a fully functional one is becoming more and more difficult. Yamaha’s DX-7 is one of the most popular synthesizers ever produced, joining the ranks of others like the Minimoog. 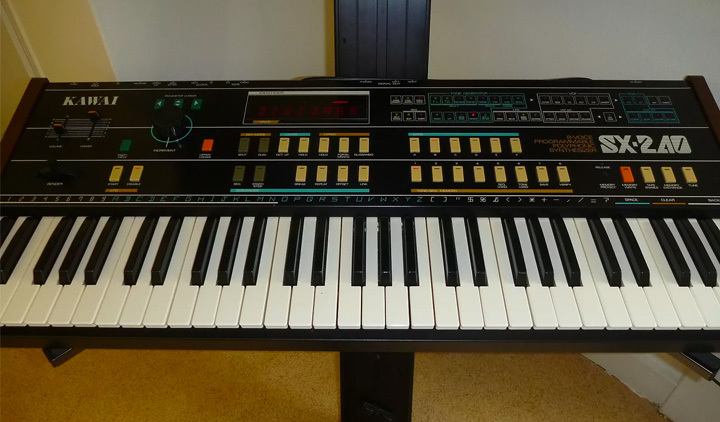 The DX-7 utilized and popularized Yamaha’s FM synthesis and was essentially the sound of the ‘80s and beyond. The ultra-rare DX-1 was released around the same time and essentially utilizes the guts of two DX-7s along with a weighted velocity sensitive keyboard with polyphonic aftertouch and a gorgeous hand-made Brazilian Rosewood case. The DX-1 was also somewhat easier to program from the panel, as there was a better display and more immediate function access, as well as real switches instead of a membrane panel. 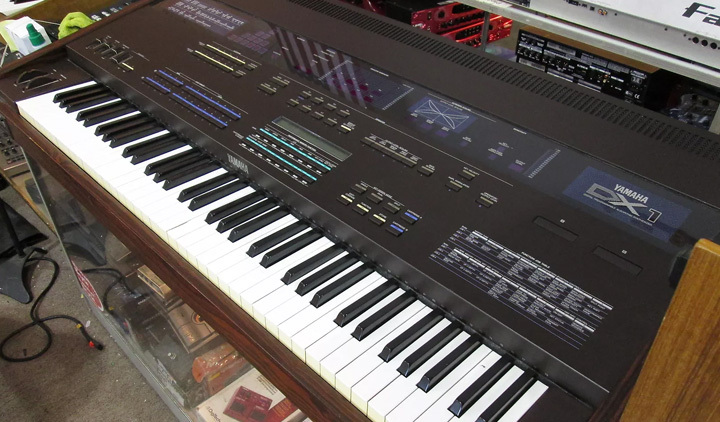 According to Sound On Sound, the DX-1 also had a quieter signal path due to components being handpicked and tested for the flagship by Yamaha’s engineers.